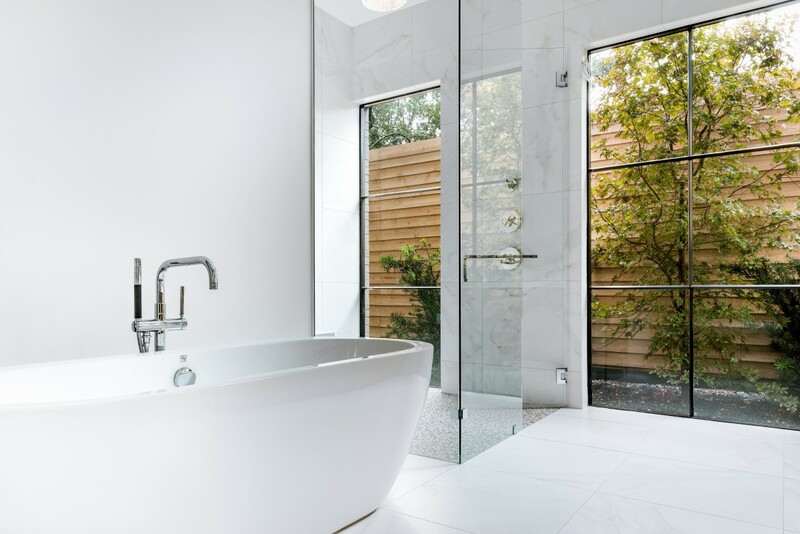 We believe personal spaces require personal touches, and master bathrooms are no exception. 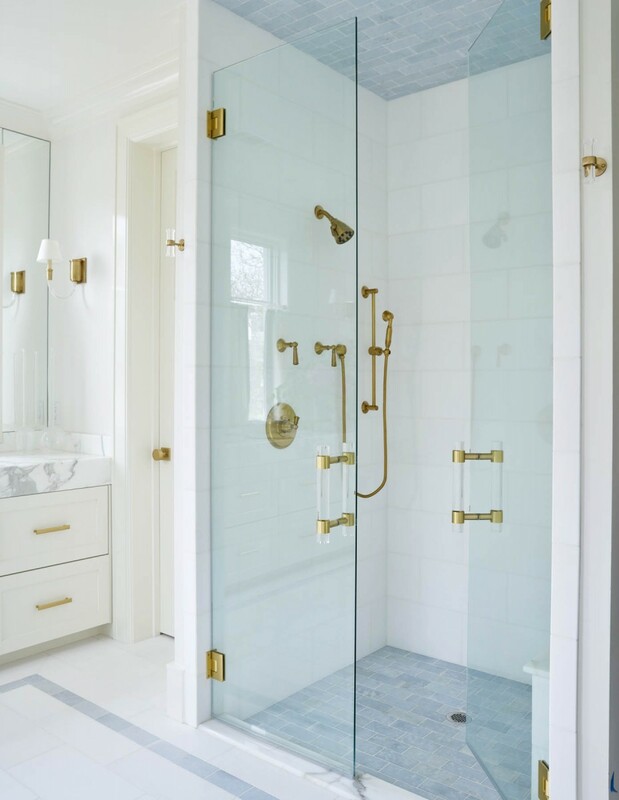 So we're wrapping up the month of April with a look at some of our favorite Coats Homes custom showers! Which one takes the cake? You decide! 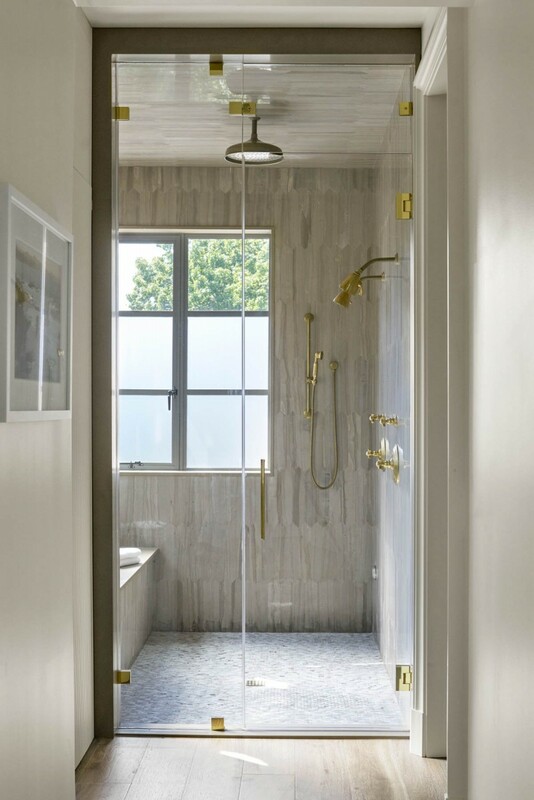 Subtle pops of brass complement this light and bright space, and we love how the blue-grey tile draws out the grey in the marble countertops. A combination of earthy hues and opaque windows brings the outdoors in. 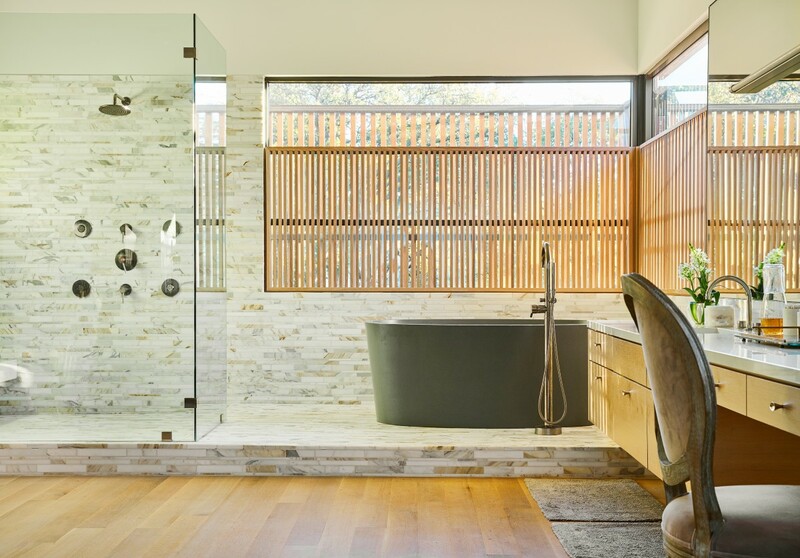 This raised shower and bath area also takes advantage of natural light, adding a custom screen for privacy. 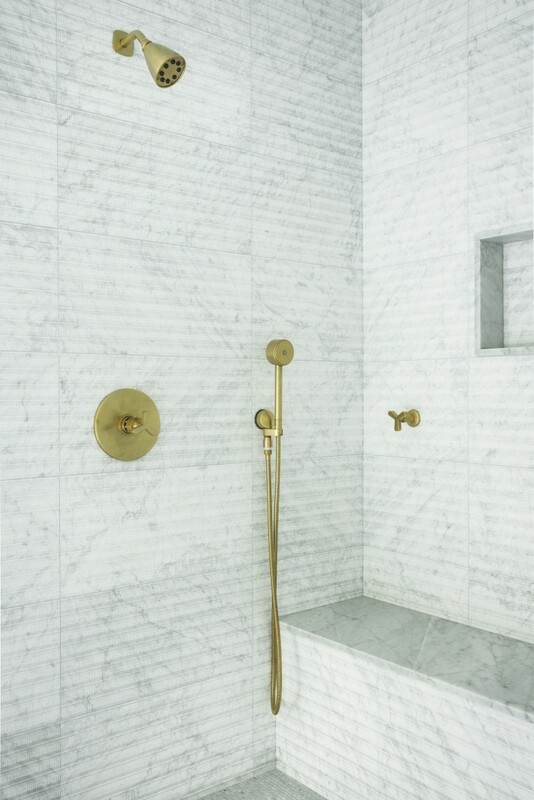 For tile that adds some subtle, luxurious texture, we love Signature Floors & Interior's 12x24 Pannelli Biano Carrara Textured tile, complemented here by fixtures from TKO Associates. 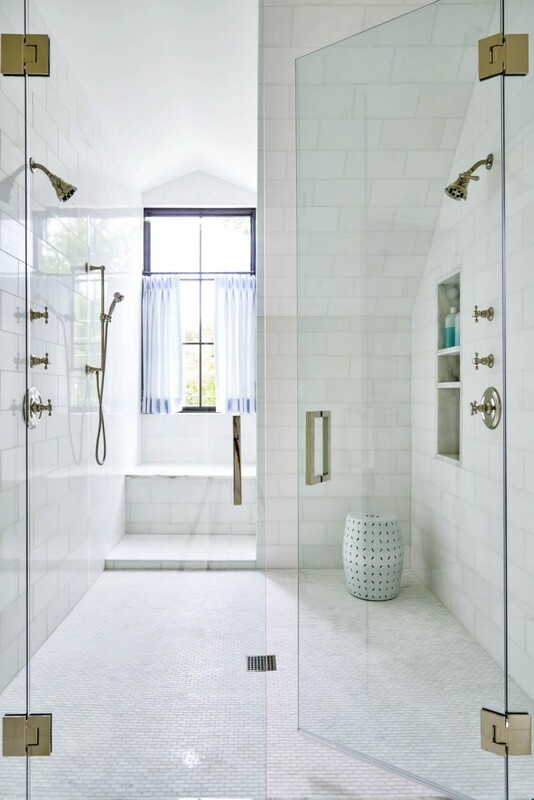 And this spacious shower room fits a whole family! 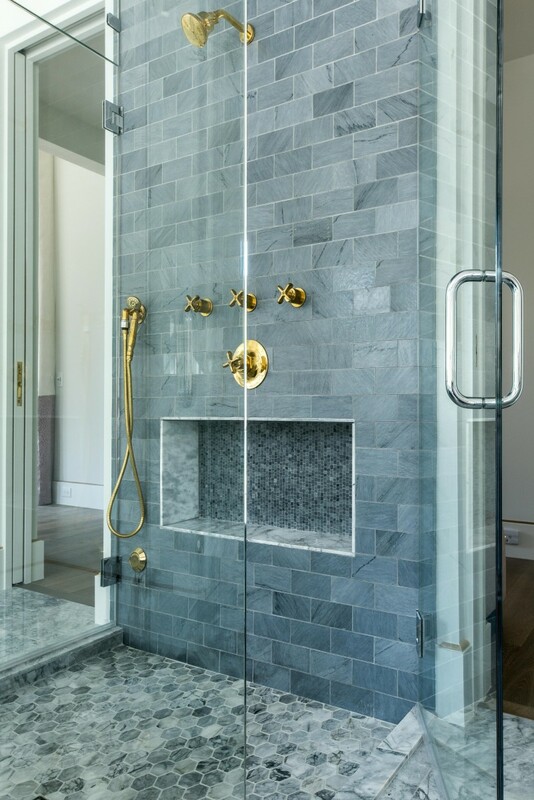 Details like the built-in shelving, bench, and opposing shower heads add personalized functionality.